If she's not already your One Drop | Expert, get to know One Drop's Rachel Head as she serves up her most savory recipes! Talk about all the rage! 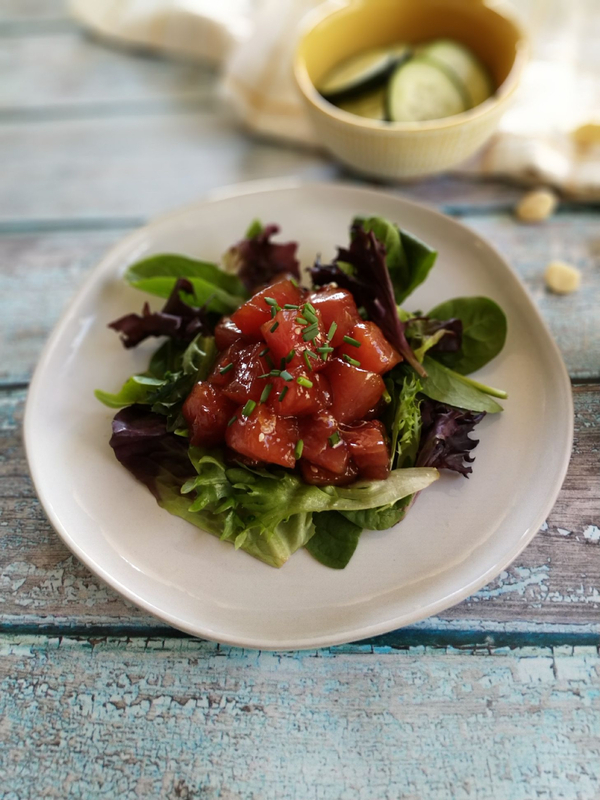 Poke (pronounced “POH-keh”), which originated in Hawaii, is becoming a go-to staple for many trying to stay low carb. What is it? Fresh, filling, deliciousness, by way of a sushi-inspired salad. If sushi is your thing, poke is your new thang. 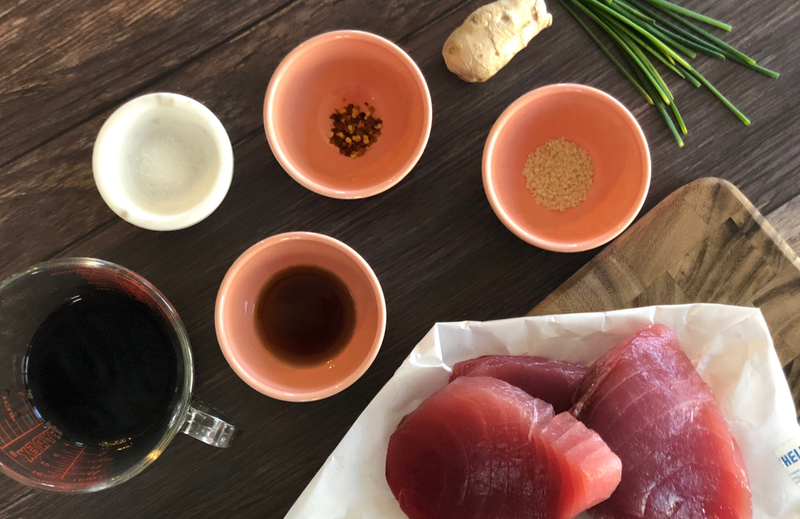 Tuna poke is a simple, four-step recipe that helps keep us chilled out here in Arizona - no ovens to turn on, no cooking required! While poke works great on rice, noodles, or crackers, it also goes perfectly atop a bed of greens, or cucumber slices for a tasty, low carb alternative. 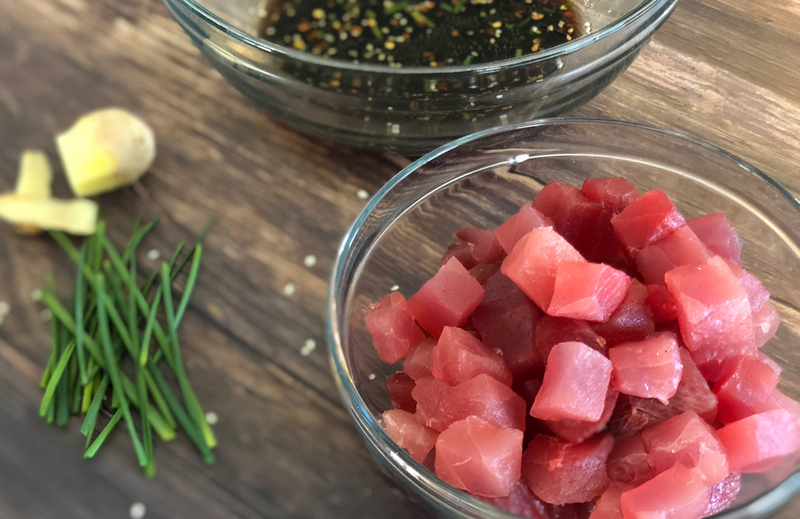 This poke recipe is a great way to get that sushi-like meal you're craving, without the rolling or the carbs! Serve it along with diced avocado, edamame, beets, or shaved carrots, and you’ve got a colorful poke concoction. Fresh, sashimi grade fish is an important part of this recipe, and it may take some time to find a source in your city. Especially if you are landlocked in Arizona like my family! But once you do locate a reputable seller, your low carb options will be as wide open as the ocean. So start asking around if you don’t already have one!